The film is not modern (1970-1990), similar to Conan the Destroyer, or maybe a remake. Or a TV series. I was young so I don't remember. The film contained a scene where the protagonist gets a broken sword and forge welds it. Then he performs feats. Bodybuilder, looks like Schwarzenegger (maybe it was him). The reforging of a sword is a central element in the opera Siegfried and the ancient Nibelungen Lied it is based on. 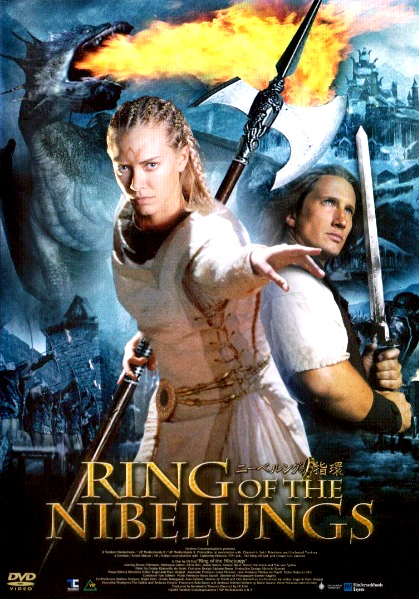 There have been several movies based on either, but the one that looks the best match to your description is 2004 TV movie Ring of the Nibelungs (variously titled The Curse of the Ring, Sword of Xanten, and Dark Kingdom: The Dragon King), starring Benno Fürmann, Kristanna Loken, Alicia Witt, and Max von Sydow. Judging from the trailer, it looks fairly old-fashioned, so could be mistaken as being older than it is.The hero looks more like Kevin Sorbo than Schwarzenegger, though. 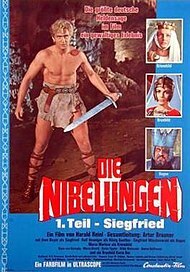 Another possibility is a 1966-67 adaptation in two parts, Die Nibelungen; a remake of Fritz Lang's 1924 silent movie two-parter or the same name (which is amazing, but probably not what you're looking for). Not having seen either of these two adaptations, I don't know if the sword-reforging scene is in any of them. There may also be non-Siegfried/Nibelung movies with reforging of a sword, but the only one that comes to mind is The Lord of the Rings. Not the answer you're looking for? Browse other questions tagged story-identification movie conan or ask your own question.